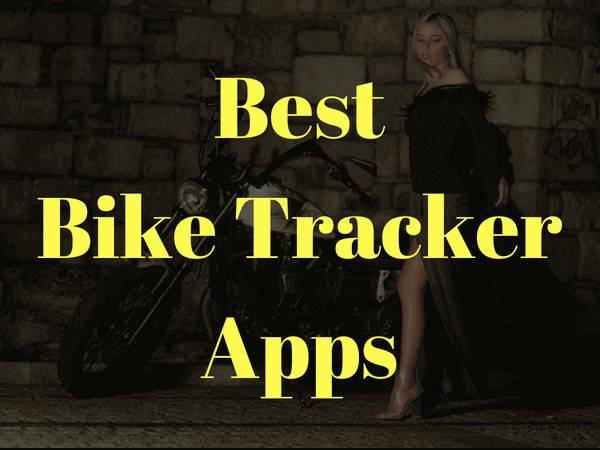 Best Bike Tracker App – Having a bike tracking app for setting up your goals and for tracking your cycling progress on a regular basis is a great idea to go on. These apps not only enables you to record the metrics such as speed, distance, and pace on your smartphones but also helps you in managing your different tasks as well such as root planning, goal settings, community building, coaching and other details as well. As there are a large number of apps available today, so selecting a perfect one for you is going to be a tough task. Bike GPS Tracker is best to track your bike or any type of vehicle. To make it easier for you, we are here rounded up with one of the five best bike tracking apps that will make your job much more comfortable. Strava: Strava is one of the most amazing metrics tracker apps that is perfectly designed and developed as per considering the athlete’s requirement. Athletes from different parts of the word can easily share their records, join the activities and can connect with each other just with the help of this beautiful app. It is one of the best bike tracker apps available on the market today that enables you to record your daily metrics on a regular basis. In short, you can now easily record your speed, distance covered, pace and a lot more smoothly on your smartphone. The app includes a GPS tracker that works for recording, tracking and visualizing the different activities of the users and hence makes it much easier for them. Moreover, you can also share your efforts made on your social media network so that your friends or followers can quickly get to know about it and can comment on it. It is one of the most beautiful apps that you can use for a more extended drive and the shortest ride as well. Also, the app offers you the facility of hiding or deleting your trips from public leaderboards. MapMyRide: MapMyRide is one of the router planner apps that help you in planning your route and live tracking. It is a GPS based app that offers you the best possible ways that you can select for bike riding. So, if you are new to a place and wanted to look for a safer and best route to start with cycling; MapMyRide is one of the best options that you can install on your smartphone. The app is not a newer one in the market and hence has won the trust of millions of people worldwide due to the facilities and high-quality results it offers to them. The app not only enables you to do live tracking of your ride but also allows you to customize your bike riding with the help of personalized routes from scratch. Moreover, you can also go for leapfrogging so that to create a unique path in just a very most straightforward way. If you are getting confused by the different number of routes offered by the app; you can make it easier for you just by selecting the favorite user routes. Zwift: If you are looking for one of the best indoor trainer cycling apps for you; the Zwift is one of the best options you can trust upon. It is an iOS-only supporting app that works well on different iOS devices and Apple TV as well. The process of making it usable on android devices is under process, so if you are looking forward to getting it on your Android handset, you have to wait. It is an online virtual platform that offers you the facility of riding through real cycling routes and along with the different cyclists of the world regardless of their current location being digitalized while cycling indoors. The graphics and interface of this beautiful bike tracking app are mind blowing and make you feel like you are there. You can efficiently use this app as a training app, or gaming app in a very convenient and easy way. It not only enables you to train cycling but also allows you to measure distance, speed and cadence sensor as well. Cyclemeter: It is another beautiful app in the series for bike tracking that only works on an iOS environment. It is a comprehensive workout tracking app that is being designed and developed as per the different requirements of the cyclists and fitness enthusiasts. The app includes an inbuilt GPS that enables the users for correctly tracing their separate fitness tracking. In short, you can easily measure, cycling, running, walking, skiing, skating and a lot more and that also on a very user-friendly interface. You can now easily keep a track on your progress report, goals and your route plans with very great ease. Moreover, if you want more, you also have the option of enabling audio cues that you can efficiently use 70 configurable announcement settings of app such as time, distance traveled, speed, pace, elevation, etc. in case the app is entirely customizable, and hence you can also use it for setting up your target, interval and the training schedule as well. 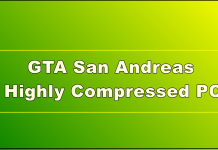 You can get many more reviews about your products at Top 10 Buddy. BikeMap.net: If you are looking for a perfect bike routing app to enhancing your cycling much more, it is one of the best apps that include about 900,000 worldwide. It means that you can now easily find out the different routes and places near you without having trouble. Moreover, if you are using this bike tracking app and are looking for sharing your course or location with your friends, so here you go just with the help of a single click. The app is well designed and developed to work efficiently on iOS, Android, and Windows smartphone and hence offer greater compatibility with you. If you want, you can also connect the app with your Facebook account with the help of Facebook join and can get comments on it. It is easy to go app that is easy to use and operate on and go effortlessly on every king of the platform. Now it’s your turn. Just comment your favorite app and give us more information about your experience for that gps tracker app.